On Saturday 18th October 2014, the world is celebrating the 12th annual Home Movie Day. The event, organized for the first time in 2002, takes place in The United States, Japan, Argentina, and many more countries. Also in Amsterdam, the EYE Film Institute welcomes visitors to explore the beauty of amateur and family films for free. This year, amateur films of Amsterdam has been selected for public screening. Presentations will be given by Erik Schmitz from the City Archive of Amsterdam about the exhibition ‘Nieuw-West 50-60’ that contains many amateur footage from the ‘New-West’ city district. Also pre-selected small gauge material from the visitors themselves will be screened and presented. 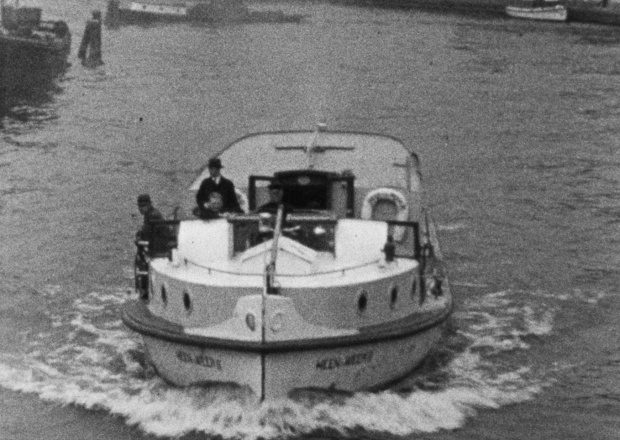 Later in the afternoon amateur films from the great archive of the EYE Film Institute will be presented, among which the Super-8 color film ‘One Vision’ (1986) by Cor Lievendag and Leo R. Krijn’s 16mm black & white film ‘Amsterdam and the water’ (1938). During the event, the SuperSens company is also present for helping you digitize your own home movie collections. We hope to see you this Saturday at the Home Movie Day!